A mantra is a sound or a combination of sounds used as a spell. 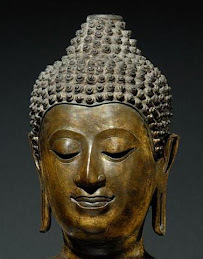 The Brahmanism at the time of the Buddha taught that repeating certain mantras would impart spiritual power and blessings and evoke the help of the gods. Some of these mantras consisted of lines or verses from the Vedas, but single syllables like hum were being used too (Vin.I,3). 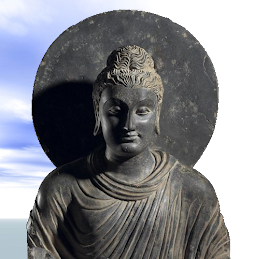 The Buddha rejected the efficacy of ma ntras as he did all forms of magic and replaced it with the idea that the greatest strength and protection comes from having a pure mind. In the Vinaya he says that the enlightened person will not chant hum (Vin.I,3). The Sutta Nipata says that chanting mantras, making offerings and performing sacrifices (mantahutiyanna), i.e. the central sacraments of Brahmanism, could not help someone plagued by doubt (Sn.249). In the Jatakas there is a story he told about a group of virtuous men who were falsely accused of doing wrong and were sentenced to be trampled by elephants. But try as he might, the executioner could not get the elephants to kill the men. Assuming that they must be reciting some protective spell or incantation the executioner asked them; 'What is your mantra?' The leader of the men replied; 'We have no mantra other than this, that none of us kills, steals, sexually misconducts ourselves exploits, lies or drinks alcohol. We cultivate love, practise generosity, repair roads, construct watering holes and built rest houses for travellers. This is our mantra, our protection and the thing by which we flourish' (Ja.I,200). The use of mantras was an aspect of Hinduism incorporated into some schools of Mahayana and later more so into Vajrayana. In fact, mantras became so central within Vajrayana that this Buddhist movement was sometimes also called Mantrayāna. Mantra seems to have become the central practice for Buddhist sects. If the post here is correct, then these sects are mistaken in placing mantra as their central practice. typo: I left out "some". I meant to say Mantra seems to have become the central practice of some Buddhist sects. The quotes given in the post are correct. 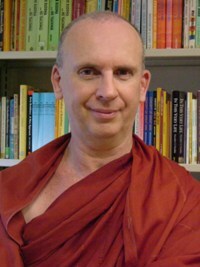 Unfortunately, people in general, including many Buddhists, look for refuge in things that do not provide refuge. Being pure minded means having no blind attachment to anything, whether it be beliefs, discipline, goodness, metta, or anything else. In the end a person's best protection is their karma, or lack of it, and even being a disciplined monk will not afford protection without the wisdom to avoid creating karma through attachment and intent. If a person does not have the karma then they become free from suffering. The example of the virtuous men was obviously of people who had an abundance of good karma; the next best thing. Could you provide the quotation of Vin I.3? Or where can I find it online? A similar passage is fond in Udana, Bodhivaggo (1),Huṃhuṅkasuttaṃ 4. But, it was translated as "who is humble". Can you clarify? Dear Rahula, F. L. Woodward in his Udana translation follows Rhys Davids in his PTS Dictionary which says of huhunka – grumbly,rough. Perhaps he thought it was similar to the English ‘harrumph’ meaning to exclaim with annoyance or indignation. John Ireland follows the commentary in translating it as ‘haughty brahman'. I. B. Horner translates the passage as ‘a certain brahman of the class uttering the sound hum’. I think Horner is the more correct here. Ireland’s rendering does not make sense in the light of the following passage which says the Brahman ‘exchanged greetings of friendliness and courtesy’ with the Buddha, not the sort of behaviour one would expect of a haughty person. Likewise the verse at the end of the sutta mentions various Brahmanical practices and terminology - vedantagu, brahmacariya, brahmavada, etc. of which chanting or uttering hum was one. I used your article in my blog. I hope this is alright with you. Yes, mantra is an interesting topic, but I find Theravada to be something similar to minority communists or hard line stalinists of the polical field. This is a metafor, not to be taken in a polically literal sense. 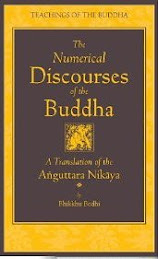 It means to say that Theravada view of Dharma is very biased, their scriptures are no base to prove that mantras did not exist during Tathagata's lifetime. 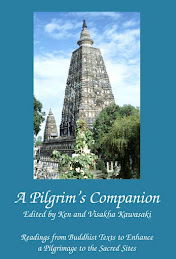 In my view the Three Dharmachackras took place during Tathagata's earthly career. It is well known that mantras and dharanis are included in the sutras of the second and the third Dharmachackra, which are the authentic and genuine Dharma according to intelligent persons and important buddhist masters of the past and present. Mantras might not be for one who has already achieved progress in spiritual path. (one who can control ones mind to certain extent.) But mantras will be very useful for persons who are at the beginning of that path. Thank you for sharing the informative blog. It is indeed wonderful to read and useful. Read hanuman chalisa. Jai Sree Ram. hanuman chalisa is Great Mantra for help ward off spirits.